Join the coolest plant society on earth with the most complete conifer database on the internet! Free subscription to ConiferQuarterly magazine. Discounts at a list of retail nurseries throughout the country and ability to shop at a select list of wholesalers. Special access to ACS Conifer Reference Gardens, nurseries not open to the public and noteworthy and beautiful private gardens. Exclusive opportunity to purchase Collectors Conifer of the Year selections. Access to our Seed Exchange, that makes available selections which are rare or unknown in the trade, including seed collected from witch's brooms. The knowledge that you are supporting grants for education, conservation and botanical garden development. Members receive four issues of the ConiferQuarterly, with information on growing, finding, and caring for conifers. The Quarterly also publishes announcements of meetings and workshops, collector profiles, outstanding photographs and advertisements from specialty nurseries that offer conifers you’re unlikely to find in your garden center. Members receive discounts at a list of retail nurseries throughout the country and are able to shop at a select list of wholesalers who do not sell directly to the public. The ACS Website has the latest Society news, upcoming meetings and special events, blogs and observations on the world of conifers plus the conifer database, a powerful tool to research conifers, especially their correct names and cultivation requirements, with over 2,500 color photos. The annual National Meeting rotates through the four different climatic regions of the U.S. and showcases interesting gardens and arboreta. Highlights include educational programs, enlightening speakers and plant auctions that let attendees purchase rare and choice conifers. The Society sponsors ACS Conifer Reference Gardens across the country that showcase conifers in regional gardens which meet collection standards and and are approved by the ACS. These gardens provide access to experience unusual specimens and learn about dwarf conifers. Members often are able to take part in curator-led walks, work days and other events. ACS members have the exclusive opportunity to purchase Collectors Conifer of the Year trees for their gardens. These distinctive conifers have been selected for their extraordinary characteristics and scarce availability. A Seed Exchange makes available to members selections which are rare or unknown in the trade, including seed collected from witches’ brooms. 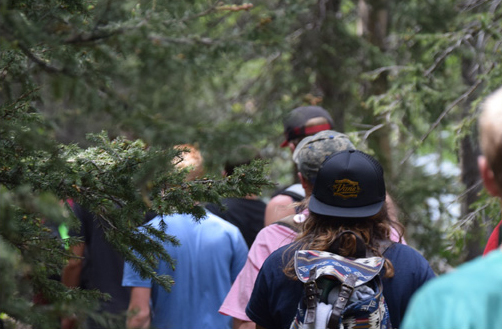 Each of the four ACS regions stages events at various times of the year to let members experience nearby conifer gardens, visit conifer collections, and meet fellow conifer enthusiasts. Membership dues support conifer research, student scholarships, awards, conifer conservation, and public gardens throughout the USA. Email your name, name of school, intended major and name of professor.